The Killers have spoken out about what we can expect from their brand new album, announcing that some songs sound heavier than anything they've recorded before. They're currently in the studio with Jacknife Lee (Bloc Party, Snow Patrol, Editors, Kasabian) in LA, Las Vegas, San Diego as well as the famous Joshua Tree. 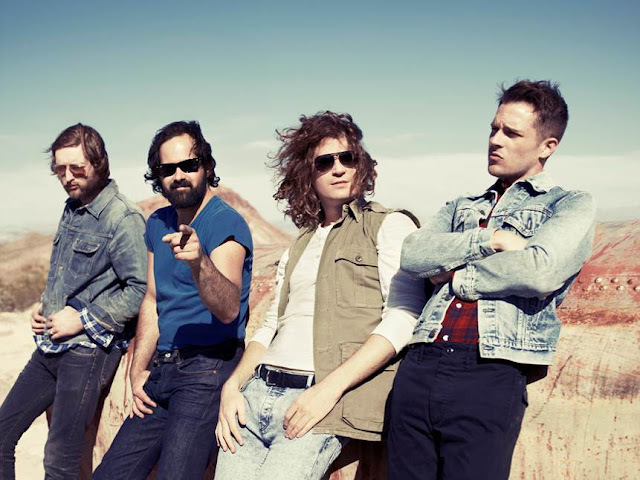 Speaking to Q Magazine Brandon Flowers said - " ... There are moments that feel heavier than anything we’ve ever done, not that we’re the heaviest band in the world, but they have a finesse because of our experience. There’s also really beautiful things. Lyrically, it’s really close to home." Brandon went onto say " ... There’s one called "Rut’ and we were all kind of excited about what was happening with that. Another is called "Run For Cover" and that comes from "Day & Age", so it’s eight-years-old. It started with Stuart Price and it still sort of has his stamp on it – but we’re funnelling it back through the band eight years later with a different producer." The band have been recently announced to play Denmark’s Tinderbox Festival with Kings Of Leon, which happens to be on the same weekend as Glastonbury 2017, but only time will tell to see if Brandon and Co. are playing. None-the-less, expect new songs live soon!